It’s been dismissed by biblical skeptics as a fable and a tall tale, but some experts now say that there’s compelling, new evidence that proves the Tower of Babel — as described the Book of Genesis — really existed. Genesis 11:1-9 tells us that the entire world once had “one language and a common speech,” and that people eventually came up with what they thought was a wonderful idea: build a city with a tower that stretched upwards into the heavens. But once God saw what they were doing, the Bible says he took definitive action. “The Lord said, ‘If as one people speaking the same language they have begun to do this, then nothing they plan to do will be impossible for them. Come, let us go down and confuse their language so they will not understand each other,'” verses 6 and 7 read. But while some might dismiss these verses as a mere fictional story, an upcoming episode of Smithsonian Channel’s “Secrets” claims to have new evidence that the biblical tower might have been the real deal. 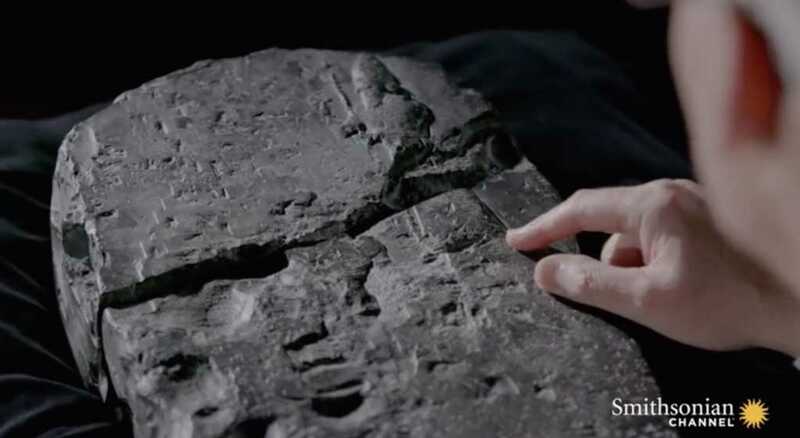 Experts are looking closely at a tablet that was found over a century ago in Babylon — a stone with etched messaging that dates back to the 6th century B.C. Carving of the Tower of Babel from a front view, clearly showing the relative proportions of the 7 stages including the temple on the top; to the right: the standing figure of Nebuchadnezzar II with his royal conical hat, holding a staff in his left hand and a scroll with the rebuilding plans of the Tower (or a foundation nail) in his outstretched right hand; at the top: a line drawing of the ground plan of the temple on the top, showing both the outer walls and the inner arrangement of rooms, including the one that once had a fine large couch in it, richly covered, and a gold table beside it, according to Herodotus : The Histories I:181; on the left edge: another line drawing of the ground plan of the temple. In the end, the tablet has experts excited to dive deeper into exploring the biblical story to see how the details measure up.